Bexhill United and Little Common football clubs have announced their pre-season friendly fixtures. Common have five games arranged as they prepare for what will be their first ever campaign in the Macron Store Southern Combination League Premier Division. Division One side Bexhill has six matches, all away from home as The Polegrove will remain in the hands of Bexhill Cricket Club until September. Pre-season friendly schedule - Little Common: July 14 Hastings United (at Bexhill College), July 21 Cobham (a), July 25 K Sports (a), July 28 AFC Varndeanians (at Bexhill College), July 31 Westfield (a). 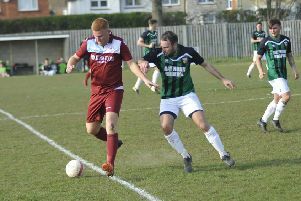 Bexhill United: July 7 Langney Wanderers (a), July 14 Montpelier Villa (a), July 17 Westfield (a), July 21 Lydd Town (a), July 25 Hollington United (a), July 28 Jarvis Brook (a). Bexhill, who have appointed Billy Wood as sporting director, will begin training at The Polegrove on Wednesday June 27 from 7pm.